Even though Pan American World Airways ceased operations on 4 December 1991, those of the flying staff who remained to the end continued flying in whatever assignment they could get. Some flew on Hajj charters; some went overseas to teach Korean pilots and others took any job so long as it involved flying. The possibility of ever joining together again as a team seemed like a remote possibility. However, the “Pan American Spirit” remained in the hearts of many Pan Amers and manifested itself in late 1993. With the breakup of the Soviet Union in 1990 was the breakup of its national airline, Aeroflot. The once behemoth was divided up among the newly independent republics who immediately set out to form their own national airlines. 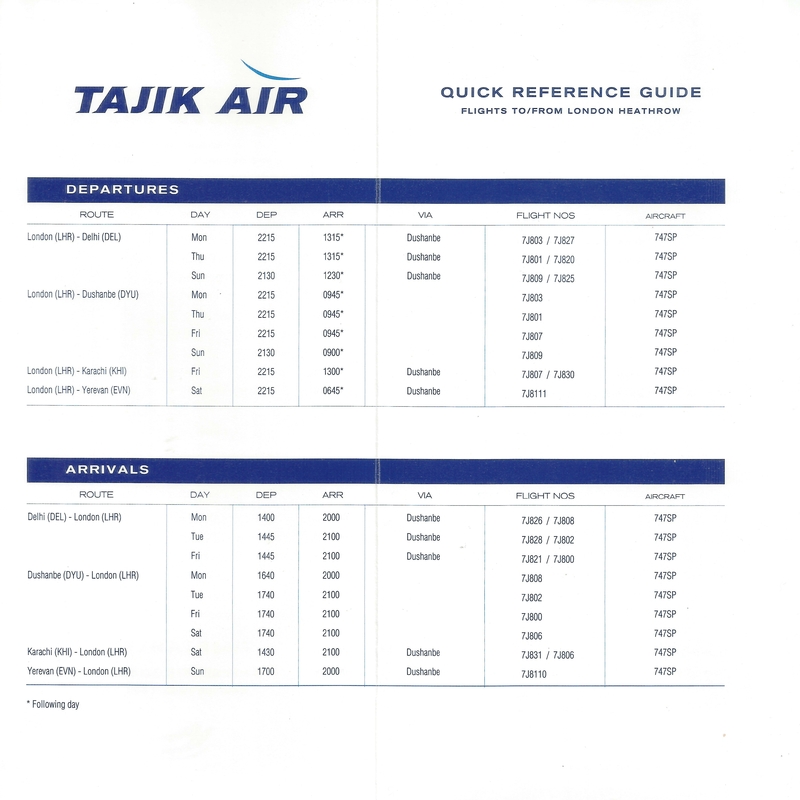 One airline was formed in the new Republic of Tajikistan, “Tajik Air”. 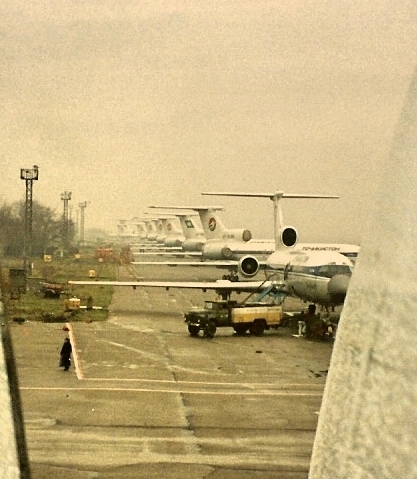 Its fleet consisted largely of old Soviet TU-154s that were operated to points within the old Soviet Union. The idea of operating long-haul intercontinental flights was nothing more than a dream. Then something profound happened. A group of businessmen in London, England saw the potential of doing business in Tajikistan and formed the Tajikistan Development Agency, headquartered in London. The group came to a quick realization that there was a serious lack of air transportation between the UK (or anywhere in Europe) and Tajikistan. Then came an idea: Why not expand the operations of Tajik Air so that it can offer flights between London and Dushanbe, the capital of Tajikistan? Starting a new service in any market requires a great deal of research and planning. There must be a suitable aircraft. Government approvals must be in place. Airport access, slots (if required), ground handling services and airport facilities (check-in desks, etc) must be obtained. On the commercial side, the new service needs to be marketed, publicized and tickets sold. Other details include setting up the ticket and operations offices, arranging catering, publishing an In-Flight magazine and printing safety information cards, timetables, paper tickets, baggage tickets, promotional materials and stationary. For Tajik Air, however, there was one very important requirement missing: an operating base in London and sufficient infrastructure to crew and maintain an aircraft operating the long-haul route between Dushanbe and London. That presented a huge problem as the civil aviation structure of Tajikistan was completely inexperienced in intercontinental operations. Setting up a London base would seem impossible to achieve given the limited resources of Tajikistan. However, through the foresight and creativeness of a few airline experts in London, a unique solution to the problem was hatched: Establish a third-party UK management company to operate the route. After much discussion with Tajikistan’s civil aviation authority, a contract was signed and Tajik Air Limited was formed. It would build the the necessary infrastructure and operate flights to/from London on behalf of Tajik Air. The company would obtain and maintain the aircraft and crew, organize the marketing and selling of the flights and essentially operate the flights. This would be accomplished using Tajikistan’s Air Operator’s Certificate and Tajik Air’s call-sign and airline code. Tajikistan committed to funding the new service and also obtaining the required government permissions for the operation. How would this operation be viable and profitable? 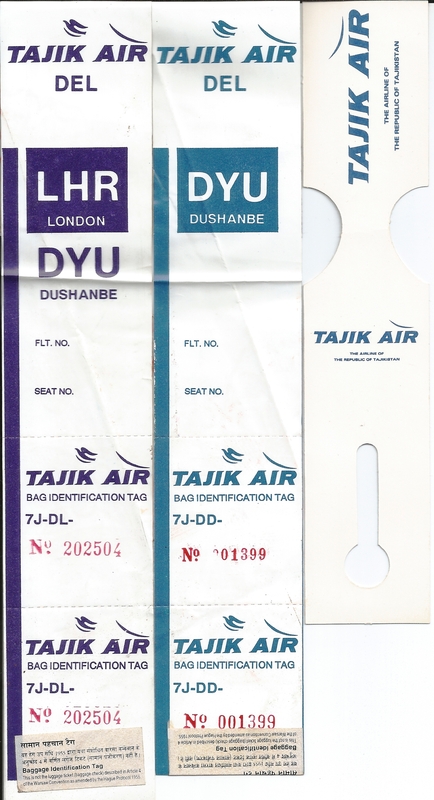 The route of primary interest to Tajik Air was the London (Heathrow) (“LHR”)-Dushanbe (“DYU”) sector. Operating that sector as an Origin-Destination route presented problems in that there was little, if any, traffic between the two points. The question was how to fill the aircraft? The answer: Offer service between LHR and points beyond DYU. The beyond points selected were Delhi, India (“DEL”) and Karachi, Pakistan (“KHI”). 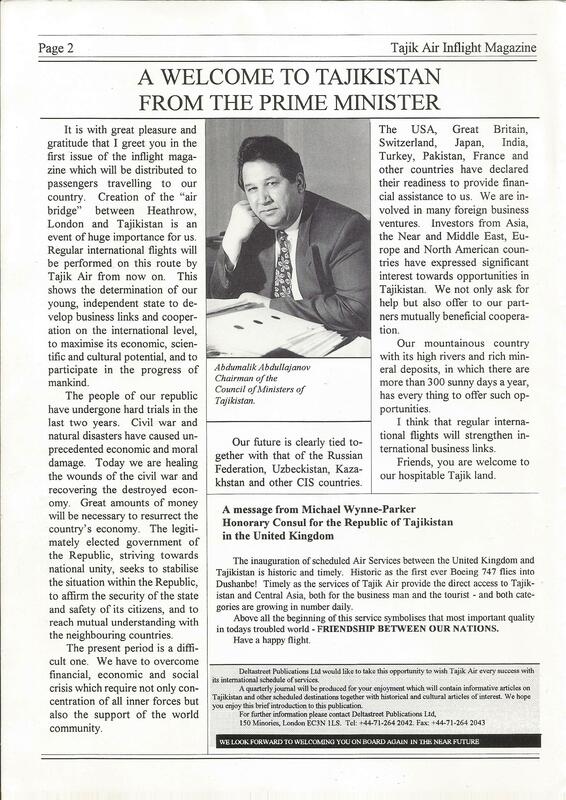 This was to be accomplished using rights under the Sixth Freedom of the Air, made possible by Tajik Air using Tajikistan’s Third and Fourth Freedom rights under agreements with the UK, India and Pakistan. DYU would be the “hub” for traffic between LHR and DEL/KHI. The schedule would work like this: Tajik Air departs from LHR with a planeload of passengers on a Fourth Freedom flight to DYU. Upon arrival in DYU, those few passengers destined for DYU disembark and the rest stay on board. The flight then departs DYU with a new flight number on a Third Freedom flight for DEL or KHI. Upon turning around in DEL/KHI, with a new planeload of passengers, the flight becomes a Fourth Freedom to DYU and from DYU, with another flight number, Third Freedom to LHR. By operating this schedule, Tajik Air could fill the seats of the aircraft, and compete in a highly competitive market by offering good service with low fares. The next question was what type of aircraft and this is where the spirit of Pan American first came on the scene: The selection of the Boeing 747SP for the operation. The aircraft acquired was first delivered to Pan American on May 11, 1979 registered as N540PA and named Clipper White Falcon. It was renamed Clipper Flying Arrow on August 1, 1979 and later renamed Clipper Star of the Union on January 1, 1980. One year later, on January 1, 1981, the aircraft became China Clipper. 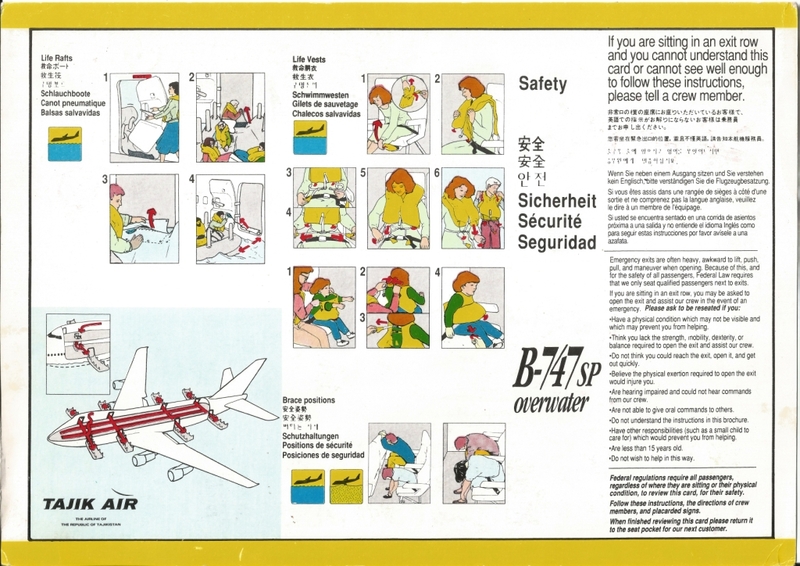 Once the 747SP was secured, a call went out for crews to operate it. This was the second instance of the Pan American spirit in the new operation: The selection of former Pan Am crews to operate the service. Because of the aircraft choice and their availability, it was decided to hire former pilots of Pan American. The decision was perfectly logical in that Pan Am pilots had many hours of experience in the 747SP – some had actually flown the aircraft when it was with Pan Am – had experience operating in the geographic area of the intended operation, and had the savvy and know-how in dealing with unexpected circumstances or conditions inherent in such an operation. It was the same for all the pilots who received “the call”. A chance to be an aviation pioneer was too great an opportunity to turn down. 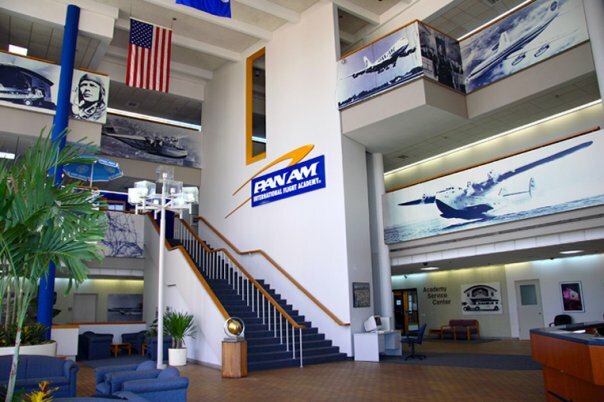 Once the group was assembled, refresher training began at the Pan Am International Flight Academy in Miami, Florida. Most of the Pan American pilots were over 60 years of age. While that would present a problem in the United States, it did not for Tajikistan. And as is well known, pilots over the age of 60 have a near zero accident rate. 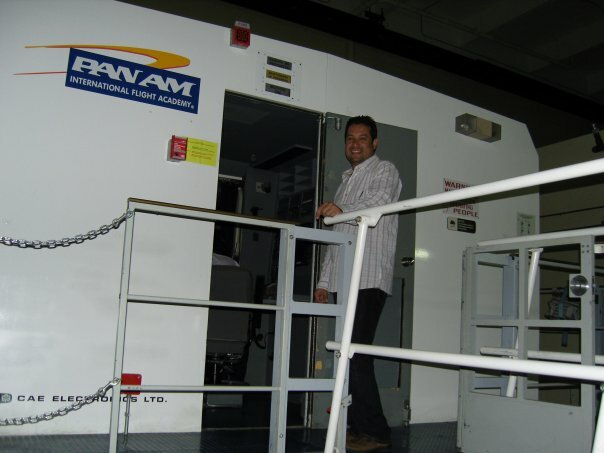 At the academy was a 747SP simulator and the pilots were put through training that brought them up to speed on changes to the aircraft, flight rules and also fined-tuned their instrument piloting skills. At the same time, flight attendants from Tajik Air were undergoing training for the 747SP. 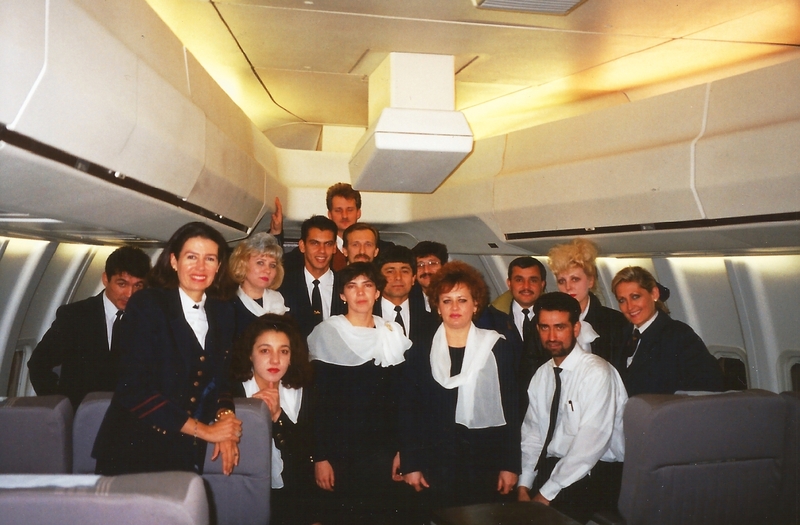 These flight attendants were supposedly the “cream of the crop” from Tajik Air but with experience limited to smaller aircraft such as the TU-154. While the pilots were progressing well in the refresher training, it was not the case for the flight attendants. 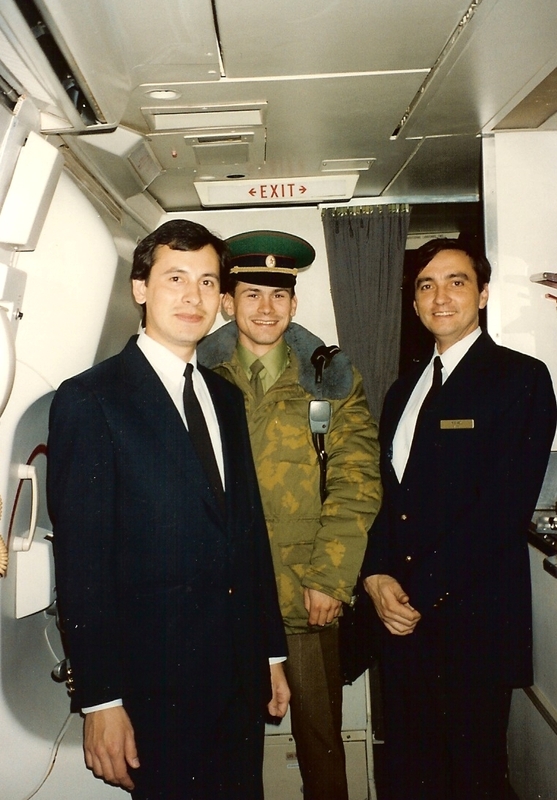 “I had created a training program for the Tajik flight attendants and we started with the 747SP aircraft: the doors, how to arm, disarm, open and close in normal and emergency mode. The first day was spent studying the manual; the second day in the mock- up; the third day back in the classroom. But I soon realized it would take five days to learn the doors and it would take months to teach procedures. 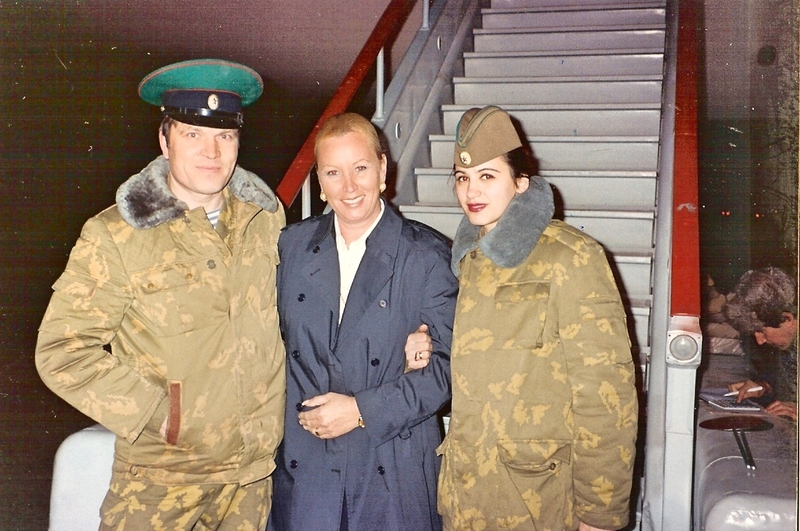 A flight academy employee who spoke Russian eventually acted as an interpreter, but it became painfully clear that this group would not be able to staff a 747SP. Although kind, interested and friendly, they were overwhelmed by the size of the 747SP. This problem was not only a concern to Crawford, but also to the pilots who were undergoing refresher training and who had observed the Tajik flight attendants first hand. A solution to the problem was needed, and after consultations with Tajik officials present, it was decided to hire some “real” flight attendants from the former Pan Am. Crawford, was in contact with a group of “experienced and adventurous” former colleagues, and very soon a lot of familiar faces began appearing at the Flight Academy. Training went into full swing for all concerned and soon it was finished. For the cabin crew, it was decided that two or three experienced Pan Am flight attendants would be assigned to each flight. The remaining cabin crew positions would be filled by the Tajik Air flight attendants as “trainees”. 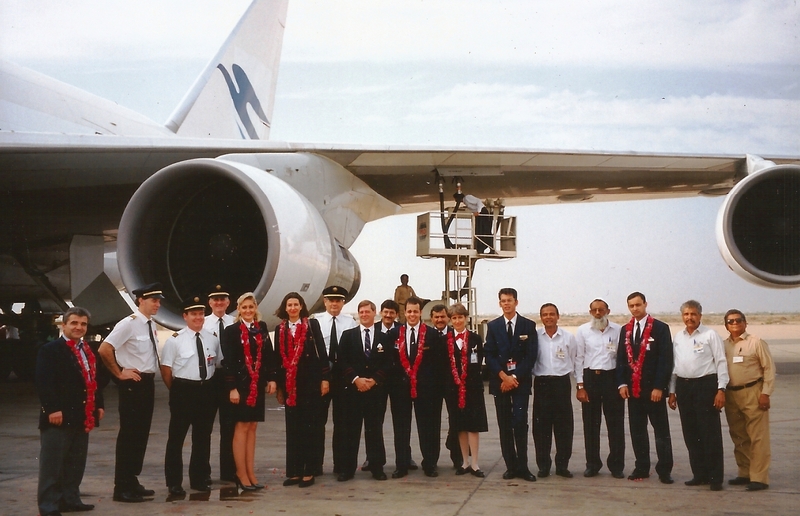 The goal, under the supervision and direction of the Pan Am crew, was the Tajik crew to become qualified on a 747SP. “Being on a flight crew is a wonderful thing. It is a team effort. Pan Am had always encouraged working as a team. That teamwork was designed to save lives. Although the duties of the cabin staff is the care of passengers, their real job is to save lives in an emergency. They operate the emergency equipment and are trained to get people out of the aircraft as quickly as possible. Good communication is essential. As a pilot, I always appreciated the job the flight attendants do and made sure they knew it”. “[At] almost any cookout in America, guests would pitch in to help with the food and drinks and have a party. Not so with the Tajiks. It became apparent that the concept of initiative did not exist in their culture. They would smile and do anything we asked of them but took no initiative. In an airplane emergency, this can be deadly so we proceeded to see what we could do about it. 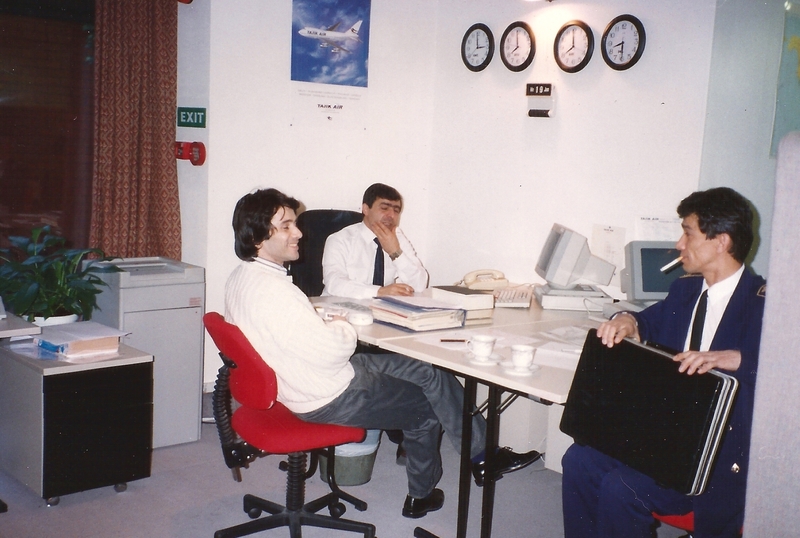 This was the first chance the pilots and cabin staff had the opportunity to talk in an informal setting. We encouraged them to help themselves and to pass things along to their fellow crew members. “We also found out why they didn’t talk to each other. They were all from Tajikistan but some were from various mountain tribes that were at odds with each other. Others were Russian, or Iranian or Tajik valley people. Apparently they had been chosen not because of their good English or flying experience but because they were related to government officials. This was also meant to be a representative group of the Tajik population. While I thought this was a very democratic move, I later learned this diversity was meant to make it less likely that a jealous faction would [cause problems with the operation]. With the training finished and the Tajiks fresh from their team-building experience, everyone began leaving Miami for London to start the operation. 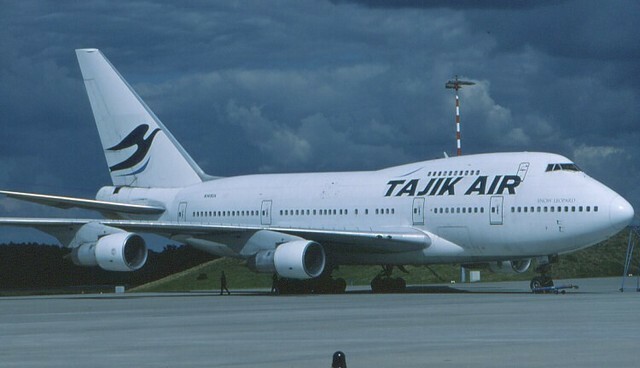 Captain Carr was asked to make the “acceptance flight” of Tajik Air’s Boeing 747SP. He accepted. Stay tuned for Part Two: The acceptance flight and applying the “Pan Am Experience” to the first flights of Tajik Air. Some new photographs have emerged about Tajik Air’s Boeing 747SP operation told in “The Story of Snow Leopard” previously posted on this blog site. The images illustrate the spirit of cooperation between the Tajiks and the ex-Pan Am crew who were enthusiastically and selflessly working to give Tajik Air a name for itself in Central Asia. Many thanks to Purser Gunilla Crawford for providing the photographs. 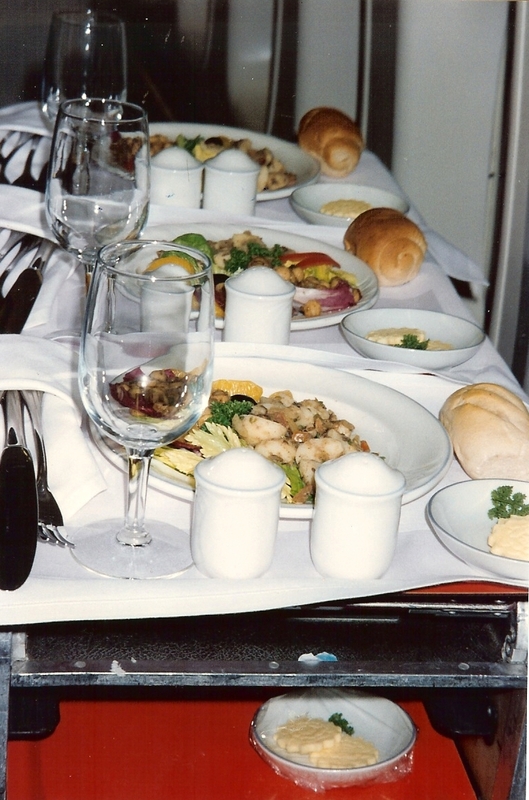 The next series of images shows the level of meal service enjoyed by the First Class passengers on Snow Leopard. 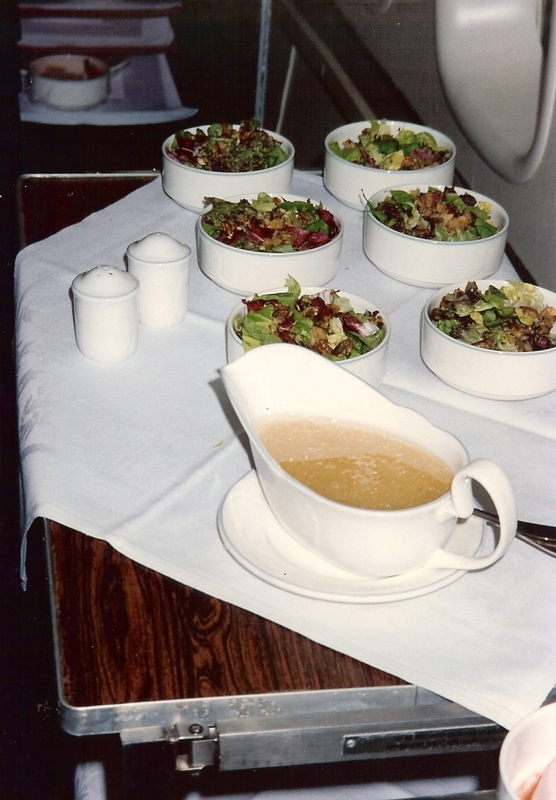 As the cabin crew were former Pan American World Airways pursers, the service replicated Pan Am’s iconic “Seven Cart” gourmet meals. 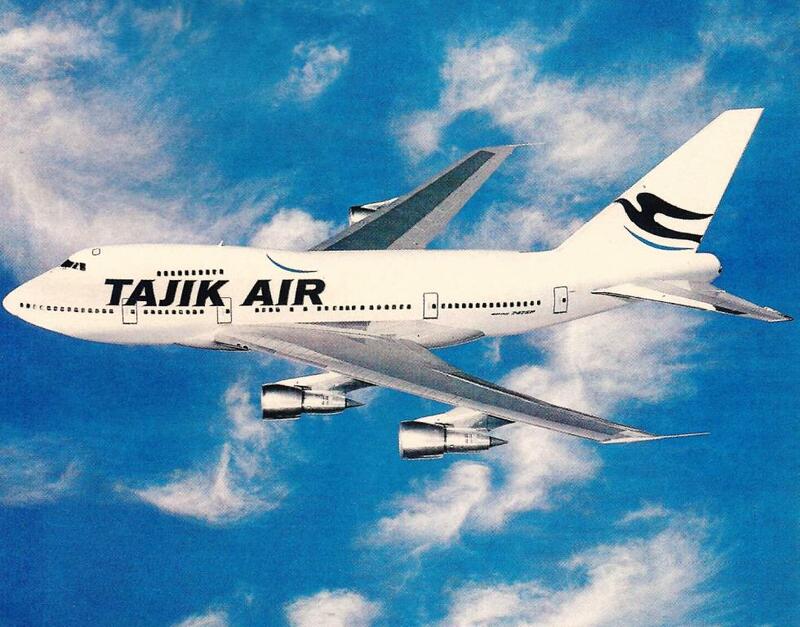 This short-lived Boeing 747SP operation gave Tajik Civil Aviation an all too brief “shining moment” that for two short months gave Central Asia a glimpse of what could be done in commercial flight. 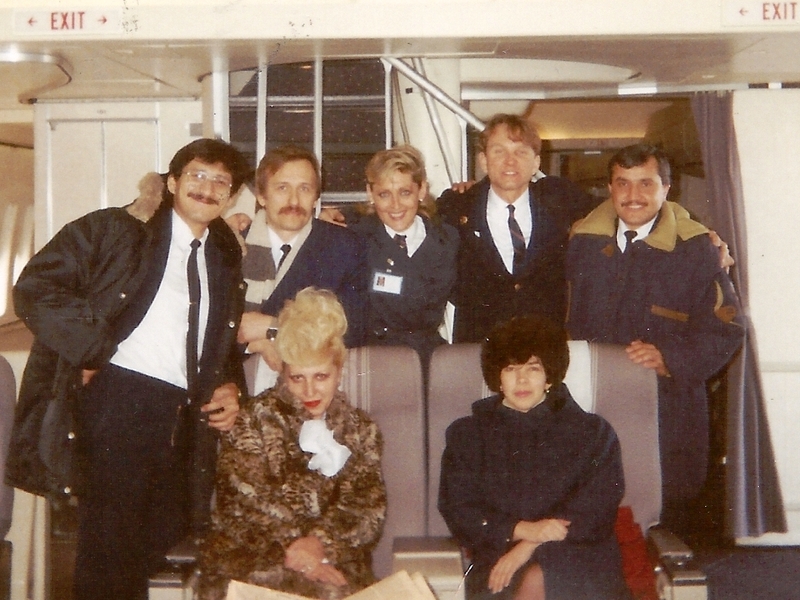 It is gone for now, but the memories remain, thanks to the ex-Pan Am cabin crew and pilots who shared their photographs and memories to make “The Story of Snow Leopard” possible. The Story of Snow Leopard from the beginning was the story of a revolutionary idea that should have been hugely successful. Unfortunately the fates would not allow that and countless hours of devotion to a noble project went to waste. If there is blame, it is not worth dwelling on. Everyone wanted the right outcome. Unfortunately, it was not to be. Nevertheless, the London staff, pilots and cabin crew worked their mightiest to make this project work, using initiative and self-sacrifice to get over what eventually became an insurmountable problem. Once the regular schedule was established and operating, the flights still presented a challenge to everyone involved and it goes without saying they were up to it. The Pan Am culture in which the pilots and flight attendants grew up lent itself to innovation and decisiveness in dealing with the everyday issues they confronted while operating Snow Leopard. A case in point is the first trip of Captain Sherman Carr, who encountered his share of challenges during his first trip as Pilot-in-Command on Snow Leopard. Captain Carr, who flew the acceptance flight, arrived in London for his first revenue trip and met with the rest of the flight crews at his hotel who briefed him on the operation. He also learned that the flights for the next two months were full, “which was a relief to me as I was anxious for my new employers to succeed”. That evening, he reported with his crew to London’s Heathrow Airport for his trip to Delhi with a short stop in Dushanbe. While completing pre-flight, which included verifying the flight plan, the weather, the fuel load, the passenger load, weight and balance and reviewing the current Notice to Airmen, he learned that the flight was being handled by United Airlines Dispatch in Chicago. “I reported to the aircraft with my crew and was greeted warmly by the Tajik Air Station Manager and his wife. I briefed the flight service team about our flight time (6 1/2 hours to Dushanbe; 2 1/2 hours to Delhi) and conducted a review of emergency procedures. I checked with catering and baggage handling to ensure things were progressing for an on time departure. All was well. So far. The flight was finally cleared and took off for Dushanbe. For Captain Carr, it was “great to be flying again”. The route took Snow Leopard over Belgium, Germany, and Czechoslovakia and across the former Soviet Union. In the flight deck, the pilots were busy with position reports, weather updates and programming the way-points on the route into the Inertial Navigation Systems (INS) on the aircraft. This system directs the flight as it moves along its route. Connected to autopilot, it makes piloting the flight effortless. Except in the former Soviet Union. The flight, however, made good progress and was on its way for an on-time arrival. Then there was a problem: Fluid loss in one of the hydraulic systems that required an alternative procedure to lower the landing gear and made the nose wheel steering inoperative. This was “no big whoop” to Captain Carr. These were things pilots were trained to deal with. The landing in Dushanbe was routine and Captain Carr requested a tug to tow the aircraft to the gate. After examining the landing gear, the source of the leak was identified and capped. Repairs would be done in Delhi. The crew determined that the aircraft could continue to Delhi with the landing gear locked down adding about 45 minutes to the flight plan, arriving in Delhi a little late. 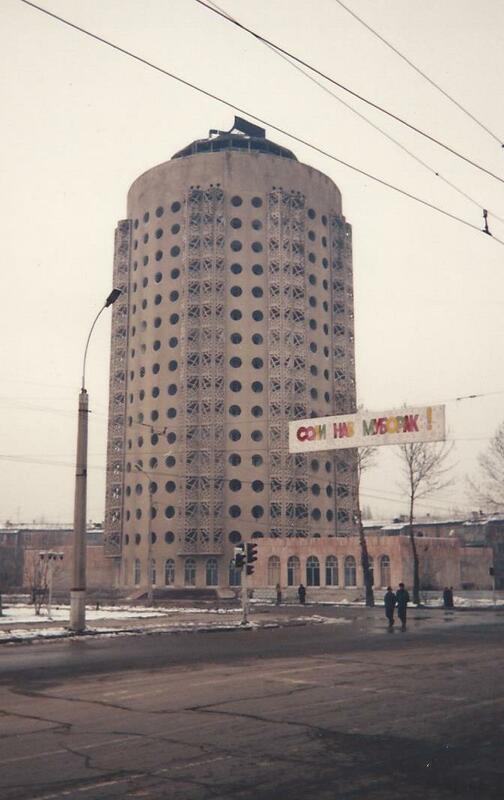 Communications in Dushanbe, however, was quite primitive, and after several unsuccessful attempts by the operations office to contact London and Chicago, Captain Carr finally reached Chicago by HF frequency from the aircraft. He explained the situation and got his first taste of United Corporate Culture. “‘You can’t do that,’ said the United dispatcher in Chicago. ‘We don’t have any such procedure for gear down flights with passengers.’ I explained we had such procedures and that our operating certificate was based on using Pan Am manuals, flight procedures and techniques and the manuals permitted safe operation with the gear down. We had been doing it since the introduction of the first 747. I asked him: ‘Don’t you realize that every flight operates with the gear down at the beginning and end? We were just going to have it down longer.’ He said he didn’t care, he had checked with his bosses and if we attempted to fly with the gear down, they would repossess the aircraft. I had to give the bad news to the local Tajik Air people and two managers from London who were with us. We had to come up with plan B”. The next problem for Captain Carr was dealing with the passengers still on board going to Delhi. There were no hotels available to put them up overnight. Also, the aircraft heating and electricity was being powered by an on-board auxiliary power unit (APU) that used up fuel and there was no fuel available in Dushanbe. If the APU was kept running, there would not be enough fuel for the flight to Delhi. In addition, the airport was closing and airport personnel were going home. “The local Tajik Air managers came up with the idea of using one of their Tupolev 154s, which could carry our passengers but not their luggage. The Tupolev crew was called to the airport, their airplane readied, and I was told all we had to do was transfer our passengers to the other aircraft. I learned that wasn’t going to be so easy. “In London, the BBC had been reporting on the theft of airline baggage. Most of the passengers were Indian Nationals, many of whom carrying as many VCRs, portable TVs and other small appliances as their luggage would bear. When I told them that they would be continuing to Delhi on the Tupolev, but could not take their luggage, there was a near riot. A few began wagging their fingers in my face. I asked the Hindi speaking members of our crew to translate for me so there would be no misunderstanding. I explained there were no hotel rooms, that we had to shut down our aircraft and if they tried to stay, they would freeze to death. I told them we had made arrangements to get them to their destination and their luggage would be arriving the next morning. Their response was underwhelming. To emphasize our security arrangements, I had our guards come aboard the airplane and hold their Kalishnikov machine guns over their heads to show our passengers that their luggage would be well protected. These were not ordinary airport security guards but members of the élite Russian Spetsnaz. I was very glad to see them providing security. And having them behind me to back up my promise to protect the passengers luggage worked very well. Also, no one else wagged a finger in my face. After spending the night at a hotel in Dushanbe, Captain Carr and his crew returned to Dushanbe Airport to find a “pile of papers that truly impressed me” and that “United in Chicago. . .had come to the conclusion” that he was right and released the aircraft for a ferry flight to Delhi with gear down. “We boarded the airplane and took off. It was a beautiful day and even with the gear down the SP climbed easily to cross the Hindu Kush and surrounding peaks that rose to about 24,000 feet. We were enjoying the scenery as we cruised at 29,000 feet entering Pakistan. We made our position report to the Pakistan air controller who asked us to confirm our country of registration. 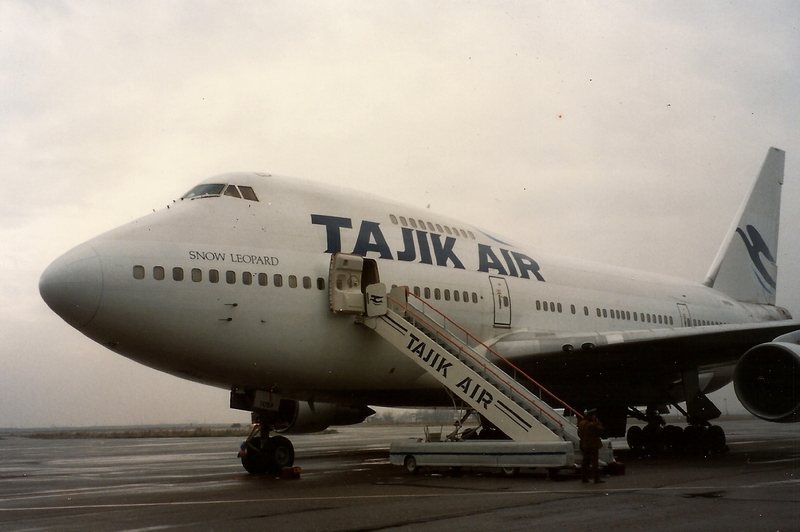 No one could believe that Tajikistan had a 747. He asked us for our overflight permit number. Before take-off we had received our en-route clearance but no one had said anything about an overflight permit number. I hadn’t heard of this before and in my years of flying with Pan Am, had never been asked for one. The three of us in the cockpit began searching through the paper work. I began reading the controller numbers we found but they were not the number he wanted. He sounded very unhappy and eventually his supervisor radioed: ‘Tajik Air 801, you have entered Pakistani airspace illegally and are directed to land at Lahore Airport immediately.’ I explained that we were a ferry flight because of a mechanical difficulty and that it would be dangerous to divert and could not comply. He said: ‘You must land immediately.’ I again explained that I am using my authority as Captain for the safety of my aircraft and crew to proceed. We only had about 5 more minutes until we were out of Pakistan Airspace. I pushed the throttles up as much as I dared and we kept looking out both sides and hoped that if they scrambled fighters, that they would at least do one fly-by before shooting at us. We reached the Indian/Pakistan border and I thanked the Pakistan air controller for his ‘cooperation’. Pamir Mountains as seen from Snow Leopard. Captain Carr and his crew stayed in Delhi for a three day layover, during which Snow Leopard made a London-Karachi rotation through Dushanbe. When Snow Leopard returned to Delhi, he and his crew would take it back to London. At Delhi Airport, he learned that the weather in Dushanbe was “iffy”, adding the requirement of planning a fuel load so that they would be light enough to land in Dushanbe yet have enough to make it to London if they had to bypass Tajikistan. This was resolved by using a “re-dispatch” flight plan that provided for a fuel stop at an alternative airport if necessary. 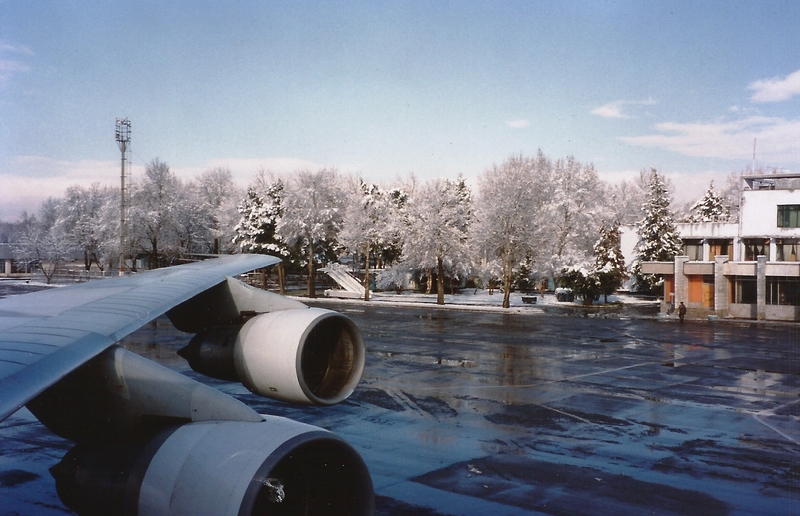 “We took off on schedule with a full load of passengers, fortunately none bound for Tajikistan, because as we approached Dushanbe, we learned that it was snowing heavily and the runway could not be cleared. We were then informed that we had to deviate north of Azerbaijan due to ‘military activities’. All I could think of was, ‘uh-oh, there goes our fuel and our on-time arrival in London’. The distance from Delhi to London is normally not a problem for a 747SP, but, because we had to limit the amount of fuel we could carry, we had the minimum amount to make it to London and now had to worry about using up our reserves. However, our calculations indicated that we would still have the proper amount of reserve fuel. “As we progressed west, the weather reports for London kept getting worse. We were advised by Maastricht Control,(Netherlands), that there were delays for aircraft inbound to Heathrow. We had now been airborne for almost nine hours and were getting close to the minimum fuel that would let us safely proceed to our alternate airport. We were told to enter the holding pattern at Lamborne, less than 20 miles from London’s Heathrow Airport. I knew it could take up to an hour or more to cover those last 20 miles. We were flying in ovals on a specific flight path at a specific altitude separated by 1000 feet from the aircraft above and below. We were still at 16,000 feet and since the approach normally is not begun until we have worked our way down through the “stack” to 8,000 feet I knew we were going to be doing this for a while and it was quite possible that we would reach our “bingo” fuel, the minimum amount left for us to proceed to our alternate airport. I excused myself and went aft for a stretch and briefed the senior purser that we might have to divert to Stansted Airport. “When I returned to the cockpit I was glad to see we had worked our way down to 12,000 feet. We had also been in continuous contact with our Flight Ops to check on Stansted weather. It was okay and the winds were favorable to get there. Nevertheless, I had to tell London Control that we could only make two more turns in the pattern and would then have to divert. At the very last moment, we had worked our way down and were cleared for an approach. The weather had gotten worse and we were faced with zero ceiling and zero visibility, called a ‘zero-zero landing’. “A 747 can make zero-zero landing if the aircraft and airport are properly equipped, which they were. We committed to making a zero-zero landing, requiring an instrument approach. The aircraft flies where you want it to go with just a caress of the controls. For this landing I decided to make a ‘coupled approach’, on the auto pilot. Even though the autopilot is flying the airplane, the pilot still must follow all the instruments as though flying manually and keep hands on the controls to override just in case. I let the autopilot make the actual touch down and apply the brakes. “One strange thing about a zero-zero landing is that after you land is when it gets dicey. The trick is to slow the aircraft and keep it on the runway that still can’t be seen. Fortunately, on the runway are ‘center line lights’ embedded in the concrete. But though they are very bright, in low visibility, one can only see a couple at a time and the trick is to run over them with the nose wheel. Otherwise, if one loses sight of the lights, there is no way to tell if the aircraft is to the right or left, other than instinct, until it runs off the runway. The flight attendants also had interesting experiences. Vince Rossi recalls making “care” packages from the inbound catering overages for the pilots laying over in Dushanbe. 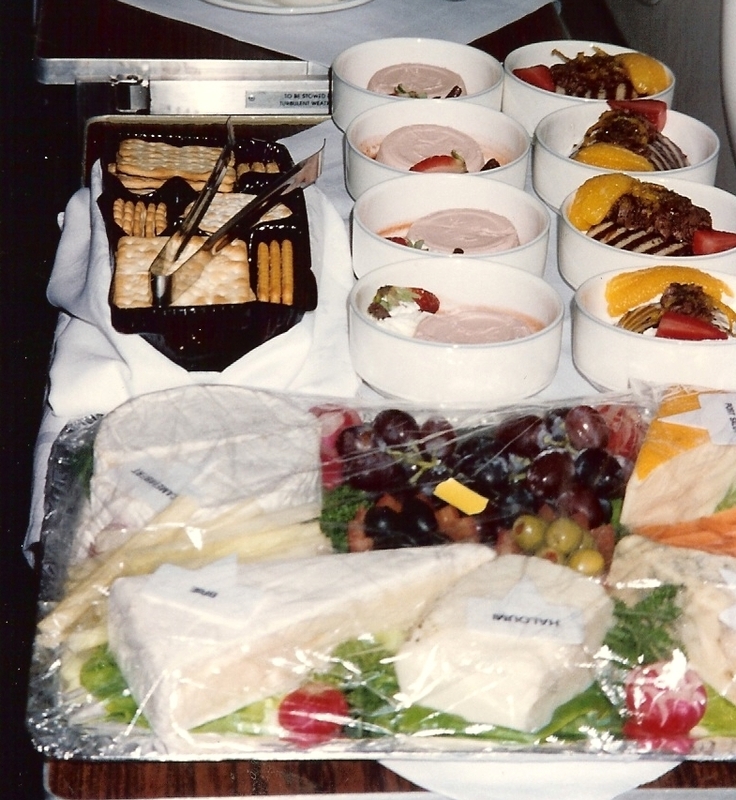 The flight attendants would also set up a buffet for the ground staff and soldiers there. It was a big event whenever Snow Leopard arrived at Dushanbe. 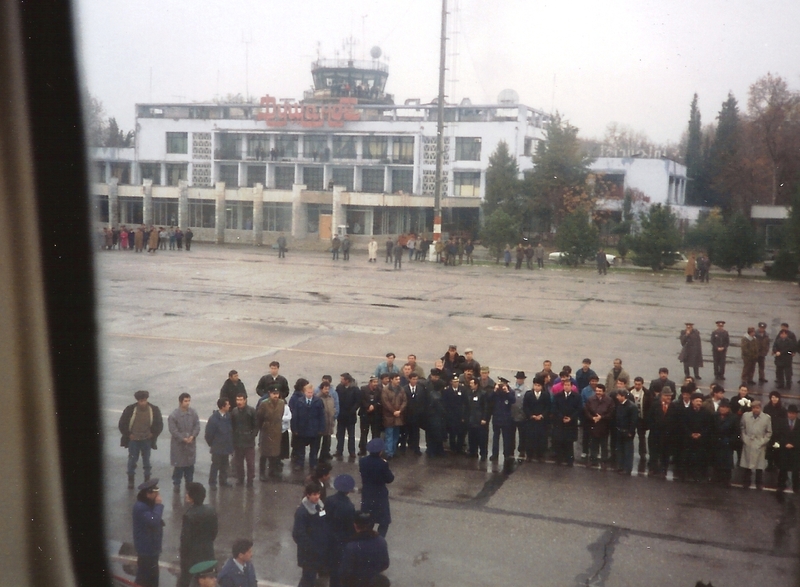 According to Rossi, “in spite of the bitter winter cold, there were often people watching from the terminal and nearby the airport”. Soon, a cherry-picker appeared to take care of the tail, and it, too, was a small business that was paid directly for its services. One of the attractions of working for an international airline is the opportunity to visit countries all over the world and explore them during layovers. Layovers are necessary to ensure flight crew members are not “timed out” and are well rested for their next segment. Dushanbe was not considered a layover city, but there were times that a layover was necessary due to operational circumstances. For the most part, due to the political situation in Tajikistan, the flight attendants kindly declined the opportunity to sample Dushanbe. The pilots, however, did. Captain Carr’s first layover was the over-nighter, caused by the landing gear problem. This was his first experience in a former Soviet Republic. The next time Captain Carr visited Dushanbe, he had a chance to have a better view of Dushanbe. This was a city that was affected by the then ongoing civil war and things were quite unstable. The country was struggling and its economy was to say the least, precarious. “My next layover in Dushanbe gave me another jolt of realism. We made arrangements with the Station Manager to take a tour of the Dushanbe area. He was able to provide the same bus that took us to and from the hotel. We drove through some areas with some very grand government buildings with surprisingly attractive architecture. We stopped at a beautiful park with some magnificent statuary. It didn’t take us too long to realize though that something was wrong. No people on the streets. No cars on the roads. The only other humans we saw on our drive were local policemen who stopped our bus, asked for our identification, and extracted a small ‘toll’ for passing through their section of road. I don’t believe they received much else in the way of pay. We headed back to the area of our hotel and stopped at a ‘super market.’ It was quite a large store, larger than most in the U.S. but dramatically different. The shelves were all bare except for one corner of the store where a man dispensed potatoes into burlap bags with a shovel. This was the government store. We did finally find a ‘people’s market’ with fresh vegetables and other marketable foods and goods. We were able to buy some tasty snacks and food to carry us through the evening curfew. I also made my one big purchase of a local item that is my one souvenir of my Tajikistan experience. 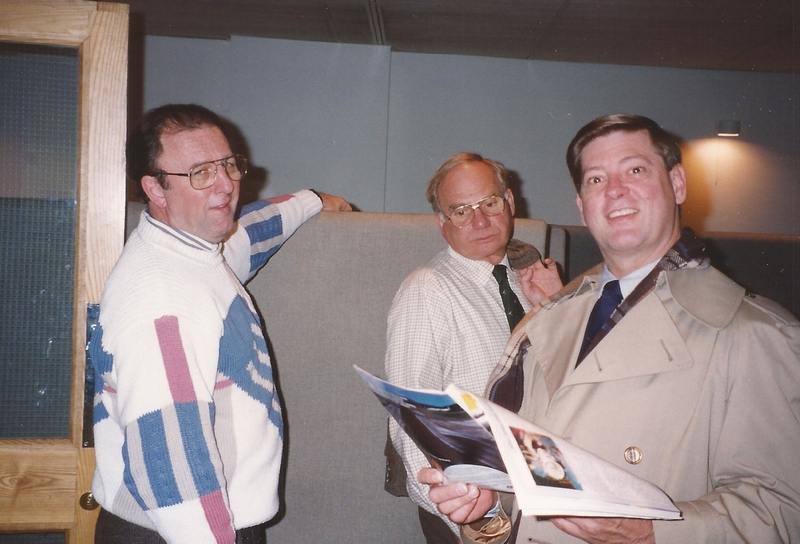 (left to right) Jim Lank, Sherman Carr and Earl Speirs. “On flights, we were all wearing our old Pan Am uniforms without the Pan Am insignia or hats. I thought it would be nice to have a hat with an emblem indicative of Tajikistan. I found the perfect thing on a peddlers cart. It was a pin-on gold medallion of a beautifully crafted snow leopard. I happily purchased it, stuck it on my beret, and it was my contribution to uniform design and a personal trademark thereafter. I took a little kidding at first but then all the other crew-members wanted one as well. “The next day, the Engineer, First Officer and I decided to walk over to explore another hotel that we had noticed not too far away. The hotel seemed very attractive from the outside. The lobby was very dark and deserted but after we rang a little bell on the main desk, a clerk eventually appeared. I asked if we could look around and see their rooms. ‘Da’. He pointed to a doorway with a flight of stairs. We went up and came to what appeared to be an airport style security check point with a walk-through metal detector and guards with Kalishnikov machine guns. After we got through we ran into a fellow on the upper landing that seemed to be an American. He asked if he could help us and I explained that we were looking for a better hotel and were hoping to see what the rooms were like here. He said: ‘Sure.’ He told us his name was Stan and we followed him into what appeared to be a suite of 10 or 12 rooms that had its own pantry and kitchen. He invited us to the suite’s lounge and offered chips, dip, and sodas. 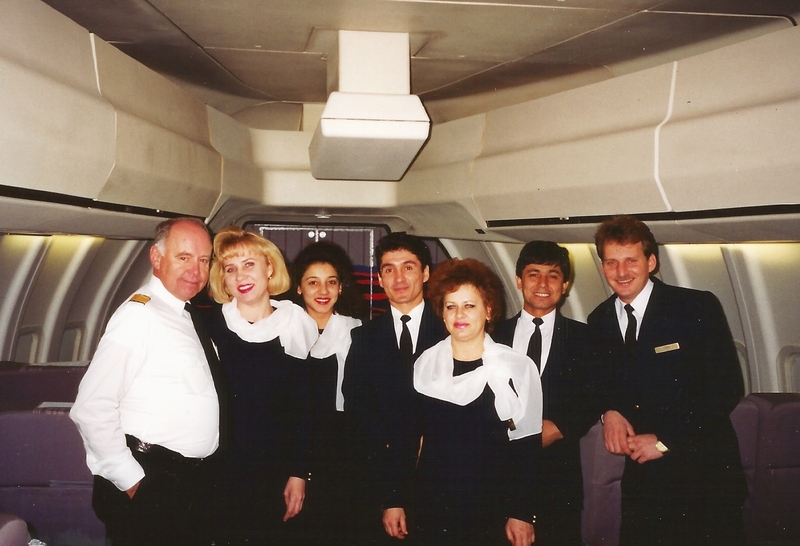 We explained that we were the crew for the new Tajik airline’s 747. As we were sitting in the lounge, I finally noticed a big emblem on the wall that read ‘U.S. Embassy’. I asked,’Is this the U. S. Embassy?’ ‘Yes.’ ‘Do you work here?’ ‘Yes.’ ‘What do you do?’ ‘I’m the Ambassador.’ Stan, the Ambassador, and his charming wife entertained us for the next hour or so as we swapped stories and local intelligence. I asked him about the information I had gotten about local war lords and border positions. He confirmed most of it. The border fighting that was supposedly 150 miles away was now only 80 miles from the city. He explained that he kept a C-130 Hercules airplane on standby 24 hours a day in case it became necessary to evacuate the embassy staff. The hotel where the U.S. Embassy was located. “That night, the aircraft we were scheduled to fly to Karachi and back overflew Dushanbe because of bad weather. The weather stayed bad and it overflew us again on the way back to London. We were stuck here for another 48 hours. My most immediate concern was to call my wife Mary because she was going to meet me in London. Since I obviously wasn’t going to be back in London in time to meet her, I put in the two-hour-to-wait call through Moscow and was relieved when I finally got through and told her to wait two days and come on the next Tajik Air flight out of London. 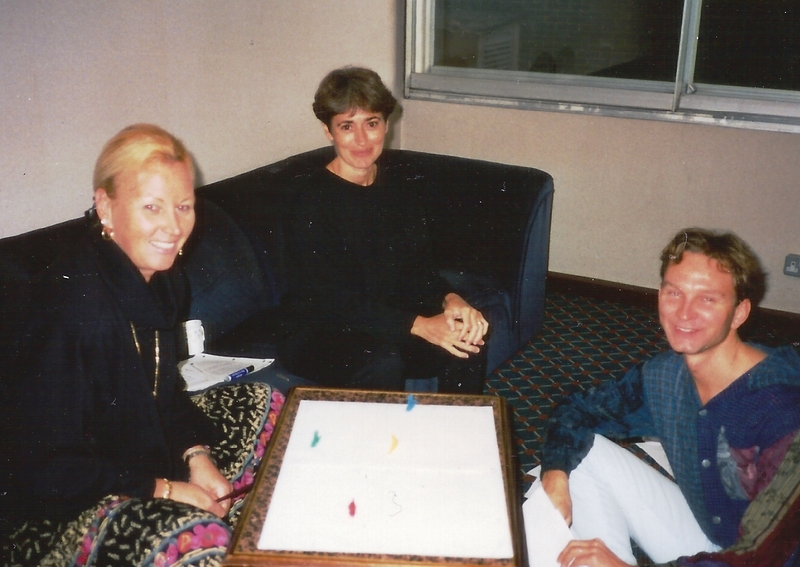 She would then spend one day with me in Dushanbe and we would continue together to New Delhi, Agra and the Taj Mahal. As the flights continued it was quickly becoming clear that the operation was encountering some severe financial problems and getting the flight successfully off was becoming a day-to-day affair. In addition, there was a mechanical problem with one of the aircraft’s engines and it was taken out of service. Eventually Snow Leopard was repossessed by United Airlines. Gunilla Crawford and her crew were on the last rotation. They were in Delhi when the aircraft was repossessed. “We arrived in New Delhi on a regular flight, and checked in at the Sheraton where we stayed as Pan Am crew. A couple of days later as we are getting ready to take the inbound flight back to London, our Captain informed us that there is a delay. I believe the message read ‘buy more beer’ or something to that effect. “We sat by the pool and eventually it became clear that the plane had been impounded and our adventure probably over. It had lasted a little over 4 months. Our Station Manager was stuck with some 500-700 hundred passengers who had booked flights to London. He counted on the crew as pawns for money from London, as we could not leave and our crew visas would run out. 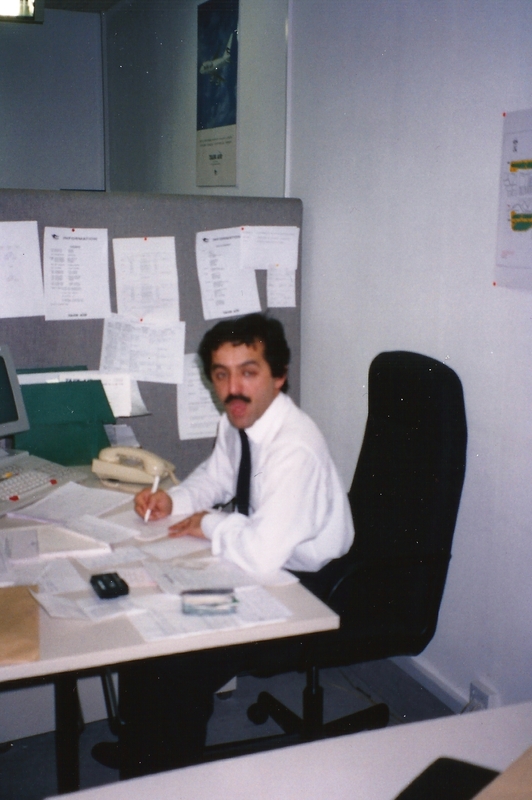 We knew how to quietly go to the authorities and extend the visas without his knowledge. The Station Manager’s assistant was helpful. We did not want the hotel to know the dilemma, after all the company was to pay for our rooms. We asked Vince who was in London to fax an explanation to our situation, in Spanish, so the hotel would not find out. They didn’t and we got the information we wanted. Time to plan our ‘escape’. The crew wai ting in Delhi. 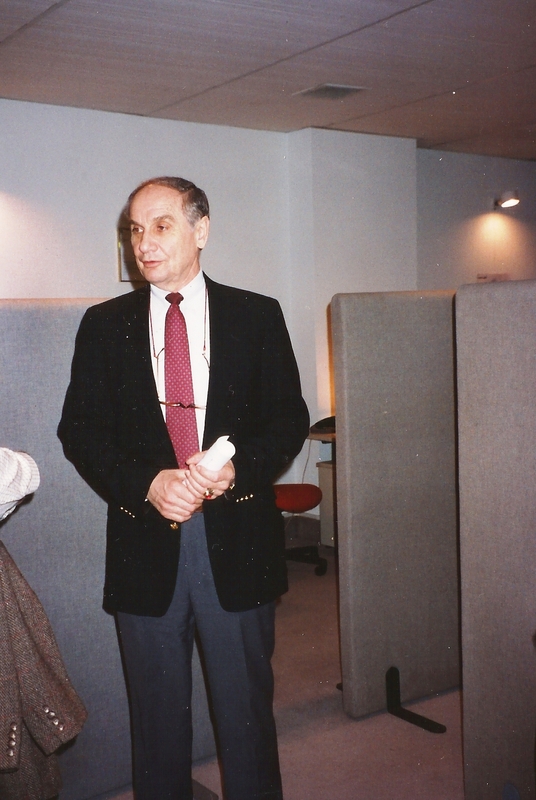 Vince Rossi was in London at the time of the repossession of Snow Leopard. He wanted to provide as much information as possible to the Delhi crew without compromising them given the financial situation. He did this by sending information by fax, written in Spanish. In addition, there were Tajik flight attendants laying over in London. They were faced with a different problem. Who would have thought that a remote country in the former Soviet Union would have a Boeing 747 operation linking it with the West? It actually happened – and it could have continued but for fate. The timing was just not perfect for starting such an operation. The infrastructure within Tajikistan’s Civil Aviation Authority had not matured enough to take on the financial and political burden of a complex Sixth Freedom operation, requiring bilateral agreements not only with the United Kingdom, but with India and Pakistan as well. Thanks to the London management, the UK agreement and slots at Heathrow were secured. Unfortunately, the negotiations to secure the agreements with India were still incomplete when the operation started and that presented barriers and resultant revenue losses. Had the start of the operation been delayed until the negotiations were completed there might have been a different result. That will never be known. 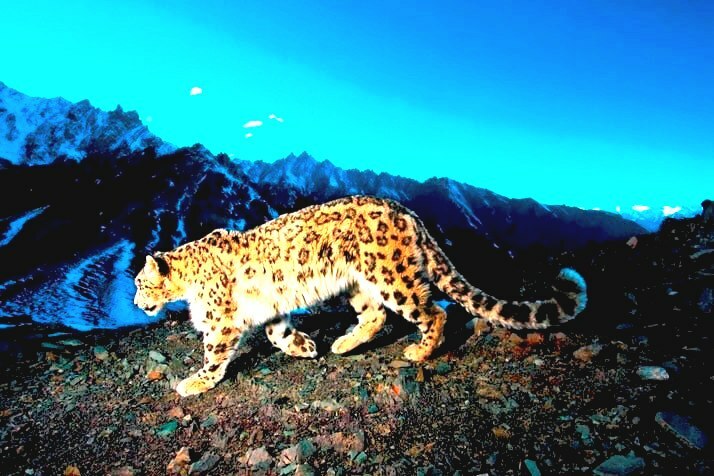 However, the Snow Leopard operation proved that it could be done, and for four short months, Snow Leopard proudly flew the skies between London, Dushanbe and Delhi/Karachi. The gold Snow Leopard medallion is still proudly mounted on Captain Carr’s beret. Writing this story would not have been possible without the contributions of those Pan Am pilots and flight attendants who were so willing to share their experiences. I would like to personally thank former Pan Am Captain Sherman Carr whose story about his experiences with Snow Leopard played a major part in this story (and the operation) and also former Pan Am Pursers Gunilla Crawford and Vince Rossi. I would also like to thank Ben Daneshmand with whom I worked in London and also for his recollections of the story he shared with me. Part Two: Crew Training and Acceptance Flight. 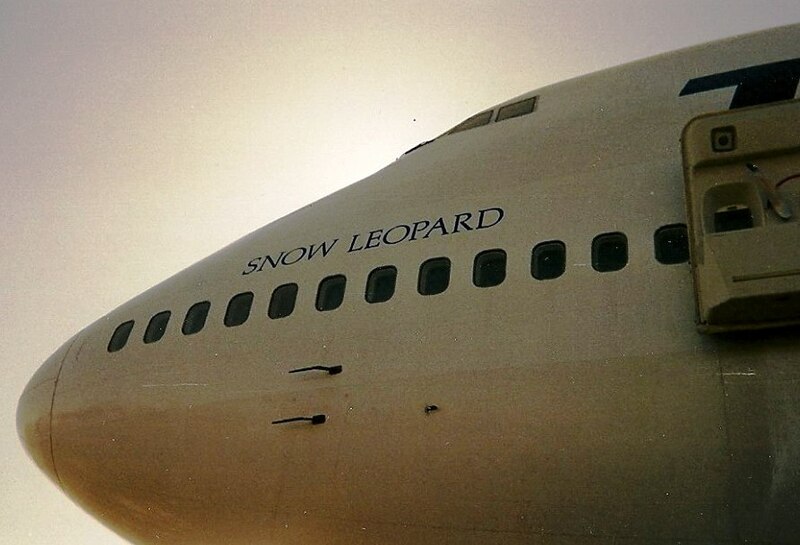 The next step in getting Snow Leopard into operation was getting a crew together to fly the Boeing 747SP. Because of the aircraft selection and their availability, it was decided to hire former pilots of Pan American World Airways. The decision was perfectly logical in that Pan Am pilots had many hours of experience in the 747SP – some had actually flown the aircraft when it was with Pan Am – had experience operating in the geographic area of the intended operation, and had the savvy and know-how in dealing with unexpected circumstances or conditions that would be inherent in such an operation. 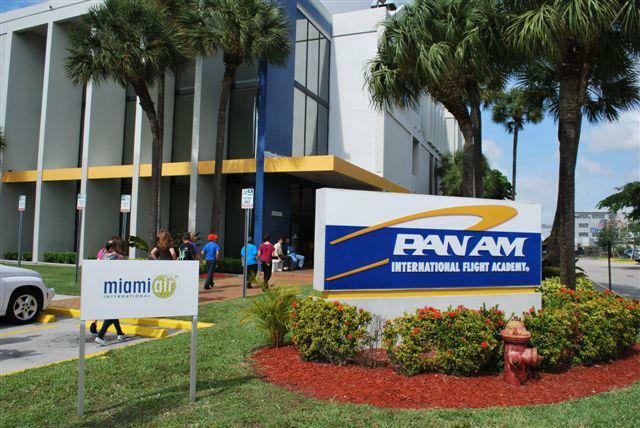 Once the group was assembled, refresher training was arranged at the Pan Am International Flight Academy in Miami, Florida. The pilots were former Pan Amers and most were over 60 years of age. While that would present a problem in the United States, it did not for Tajikistan. And as is well known, pilots over the age of 60 have a near zero accident rate. At the academy was a 747SP simulator and the pilots were put through a rigorous training program that brought them up to speed on changes to the aircraft, flight rules and also fined-tuned their instrument piloting skills. At the same time, flight attendants from Tajik Air were undergoing training for the 747SP. 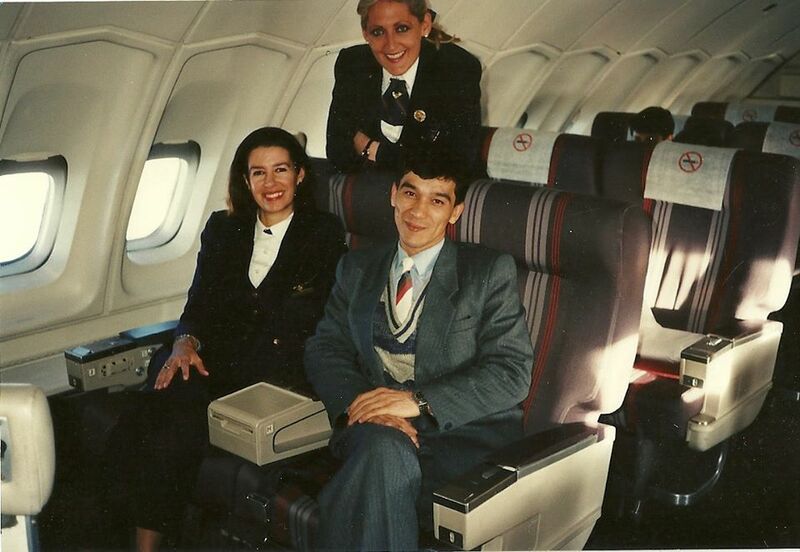 These flight attendants were supposedly the “cream of the crop” from Tajik Air but with experience limited to smaller aircraft such as the TU-154 (an old 3-engine aircraft that looked remarkably like at Boeing 727). This problem was not only a concern to Purser Crawford, but also to the pilots who were undergoing refresher training at the same time and who had observed the Tajik flight attendants first hand. A solution to the problem was needed, and according to Captain Carr, after meeting with aviation officials from Tajikistan who were present, it was decided to hire some “real” flight attendants from the former Pan Am. Purser Crawford, was in contact with a group of “experienced and adventurous” former cabin crew colleagues, and very soon thereafter, a lot of familiar faces began appearing at the Pan Am Flight Academy. Training went into full swing for all concerned and soon it was finished. For the cabin crew, it was decided that two or three experienced Pan Am flight attendants would be assigned to each flight. The remaining cabin crew positions would be filled by the Tajik Air flight attendants as “trainees”. 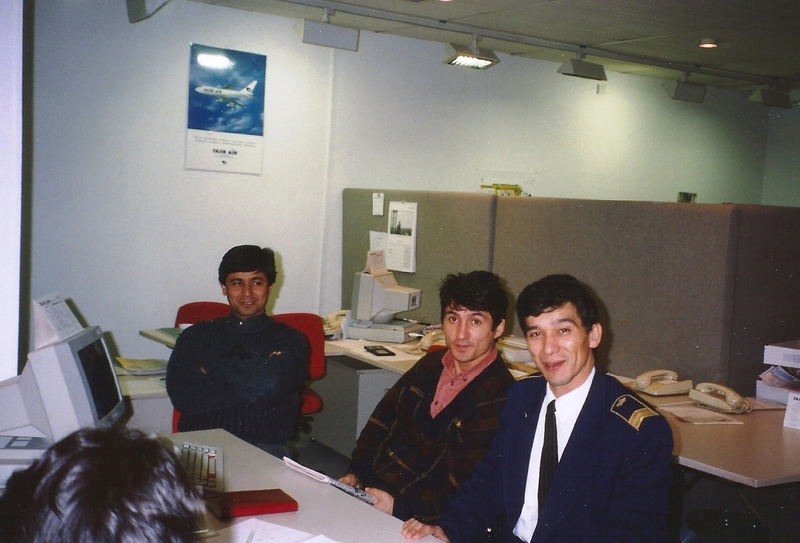 The goal, under the supervision and direction of the Pan Am crew, was the Tajik crew to become qualified to “staff and run” a 747SP flight. “Being on a flight crew is a wonderful thing. It is a team effort. Pan Am had always encouraged working as a team. That teamwork was designed to save lives. Although the duties of the cabin staff are the care and feeding of passengers, their real job is to save lives in an emergency. They operate the emergency equipment and are trained to get people out of the aircraft as quickly as possible. Good communication is essential. As a pilot, I have always appreciated and respected the job the flight attendants do and made sure they knew it”. “[At] almost any cookout in America, guests would pitch in to help with the food and drinks and have a party. Not so with the Tajiks. It became apparent that the concept of initiative did not exist in their culture. They would smile and do anything we asked of them but took no initiative. 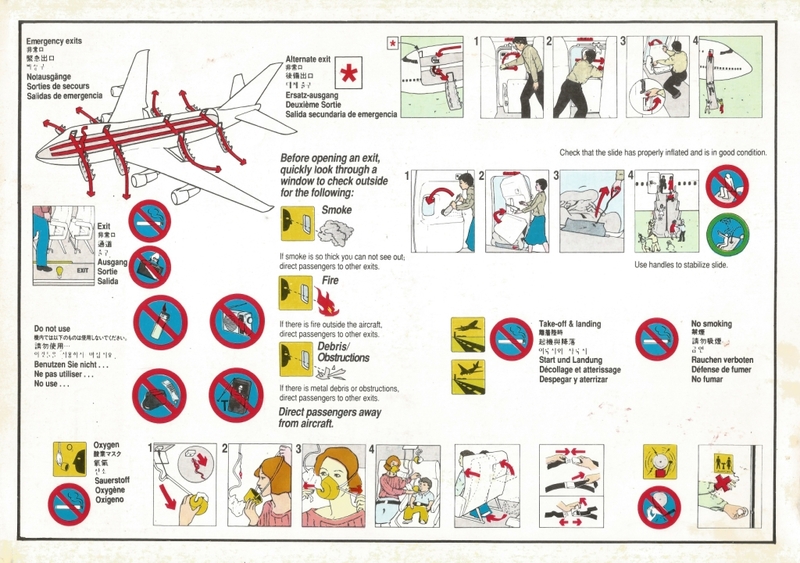 In an airplane emergency, this can be deadly so we proceeded to see what we could do about it. This was the first chance the pilots and cabin staff had the opportunity to talk in an informal setting. We encouraged them to help themselves and to pass things along to their fellow crewmembers. “We also started to find out why they didn’t talk to each other. They were all from Tajikistan but some were from various mountain tribes that were at odds with each other. Others were Russian, or Iranian or Tajik valley people. Apparently they had been chosen not because of their good English or flying experience but because they were related to government officials. This was also meant to be a representative group of the Tajik population. While I thought this was a very democratic move, I later learned this diversity was meant to make it less likely that a jealous faction would [cause problems with the operation]. With the training finished and the Tajiks fresh from their team-building experience, everyone began leaving Miami for London to start the operation. Captain Carr was asked to make the “acceptance flight” of Snow Leopard. He accepted. The acceptance flight is a critical part of the delivery process of an aircraft to an airline. Once the aircraft is accepted and delivered, anything that is discovered wrong with the aircraft becomes the responsibility of the airline. Inspections and the acceptance flight should ensure that this does not happen. Snow Leopard was flown to London by a United Airlines supervisory pilot and crew. Upon arrival, Captain Carr and his crew met the aircraft and began the task of inspecting the aircraft and its logs and maintenance records and carrying out the acceptance flight. The aircraft looked great with a fresh paint job with Tajik Air livery. Once everything was signed off, and the walk-around inspection complete, the aircraft was pronounced airworthy and Captain Carr and his crew boarded the aircraft to begin the flight. “I climbed into my seat in the cockpit. The United pilot looked really nervous and seemed a few shades deeper red than normal. He indicated his concern about all these people on board, and I said ‘kharasho’, took the clip board from him and signed as Pilot in Command. He looked relieved. I reminded him that United was still responsible for any maintenance items until I signed the aircraft acceptance form. The flight went smoothly, the aircraft was perfect and everyone enjoyed the tour of the English countryside as we put the airplane through its paces. We returned to Heathrow and I made my first landing in a real 747 in about a year and a half. As we came in on final approach, I realized that we had almost all the top brass aboard, the new crewmembers and a whole planeload of people who had never been on a 747 before. “If you’re are flying a 747 correctly, on speed and according to ‘the book’, it normally makes a very nice landing. Once in a while, when conditions are just right and you are very lucky, the touch down is so smooth that you don’t realize you are on the ground until the speedbrake handle comes up as it automatically reacts to a microswitch on the landing gear as the wheels touch ground. This was one of those landings. It was now time to get ready for operations. Ticket sales and crew scheduling were at the top of the agenda. This and stories about some memorable flights by Snow Leopard will be coming in Part Three of the Story of Snow Leopard. 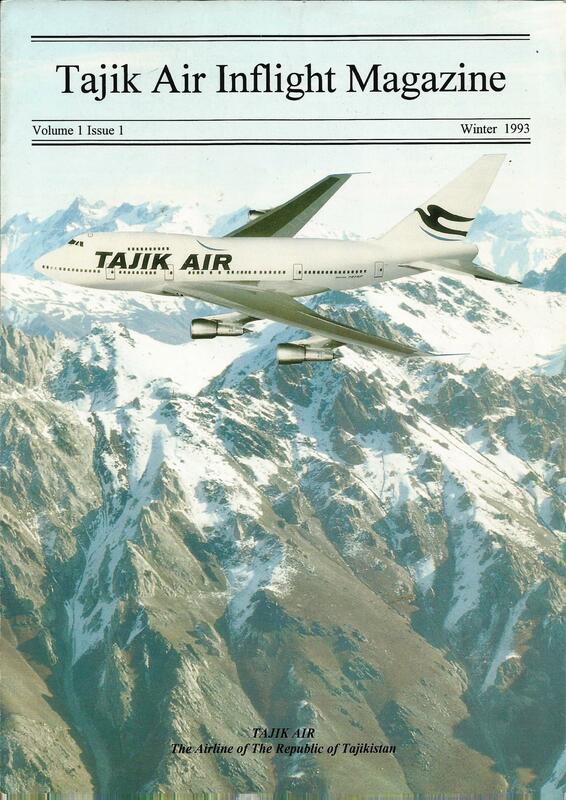 This is the story about an aircraft named Snow Leopard, which was a Boeing 747SP that was leased by Tajik Air, the national airline of the Republic of Tajikistan, then a newly independent former Soviet Republic located in Central Asia. 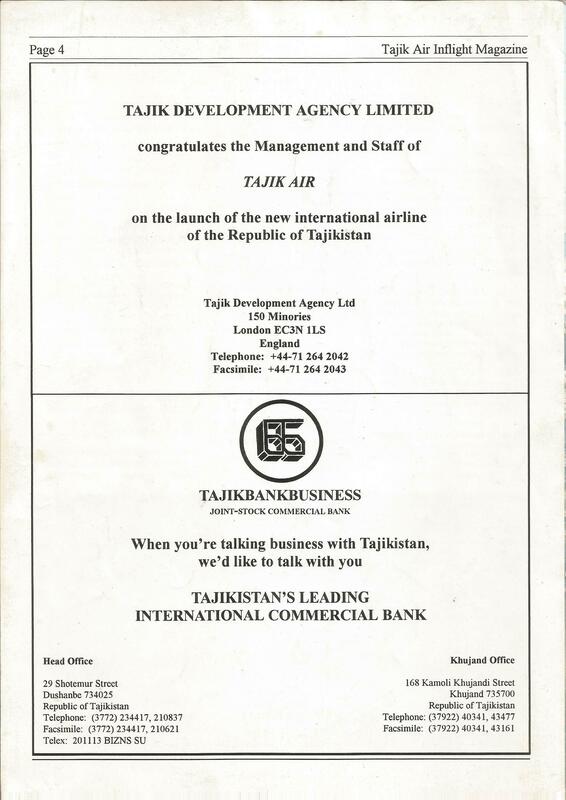 The aircraft was operated exclusively on the international routes of Tajik Air and gave that airline a presence in London, UK, Delhi, India and Karachi, Pakistan. 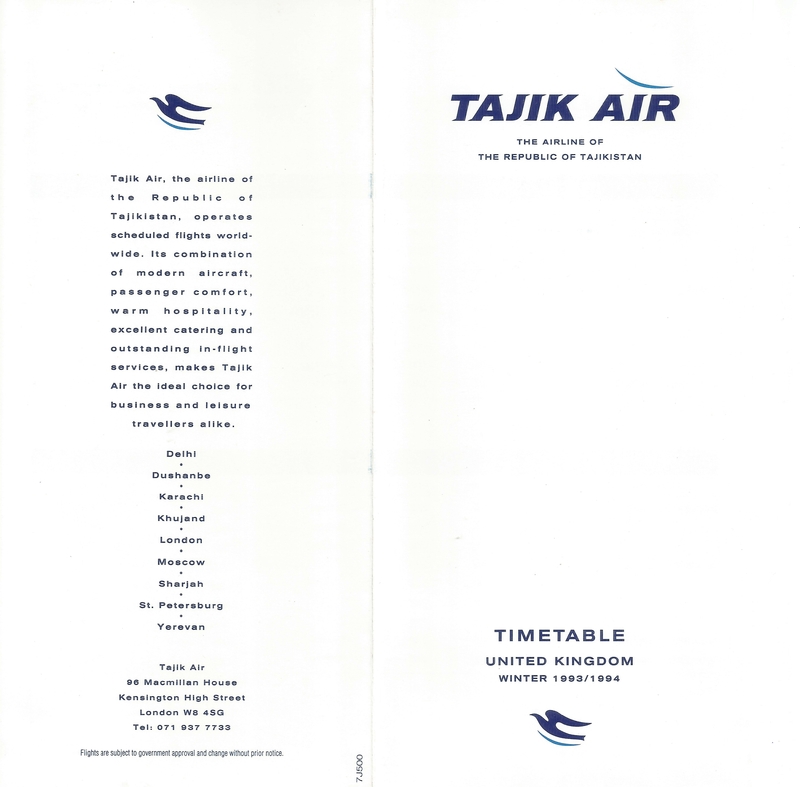 The operation was controlled and managed by a management company in London, Tajik Air Limited. This is what made this operation unique. What also made it unique was that Snow Leopard was crewed by former pilots and flight attendants of Pan American World Airways, the former great airline that ceased operations in December, 1991. 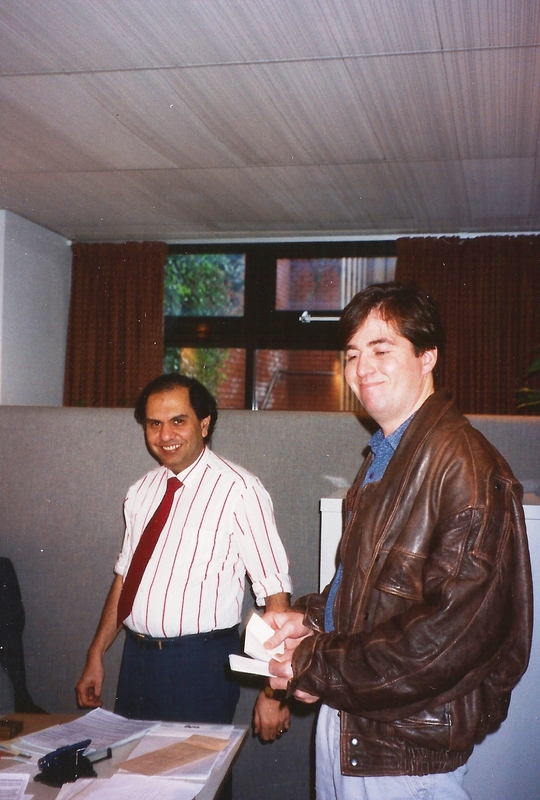 The operation started with Snow Leopard’s departure from London for Dushanbe, Tajikistan in December 1993. 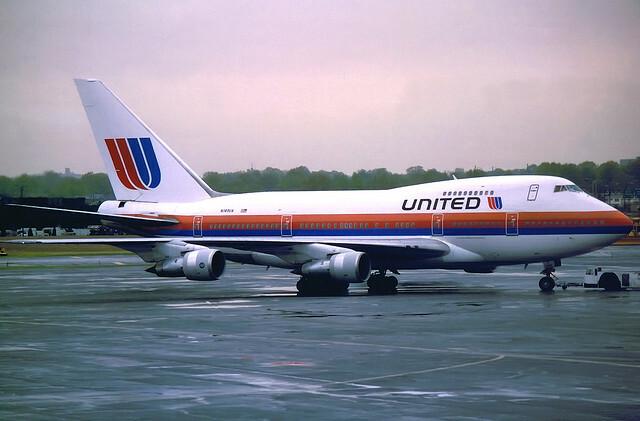 It ended in February 1994 when the aircraft was repossessed by United Airlines, the aircraft’s owner and lessor. What happened during these three months are stories of adventure, bravery, comedy, intrigue, loyalty and teamwork. And they will be told in the following posts by those who were there, the pilots, flight attendants and the London management staff. As background, the Boeing 747SP is a modified version of the Boeing 747 which was designed for ultra-long-range flights. The “SP” stands for “Special Performance”. 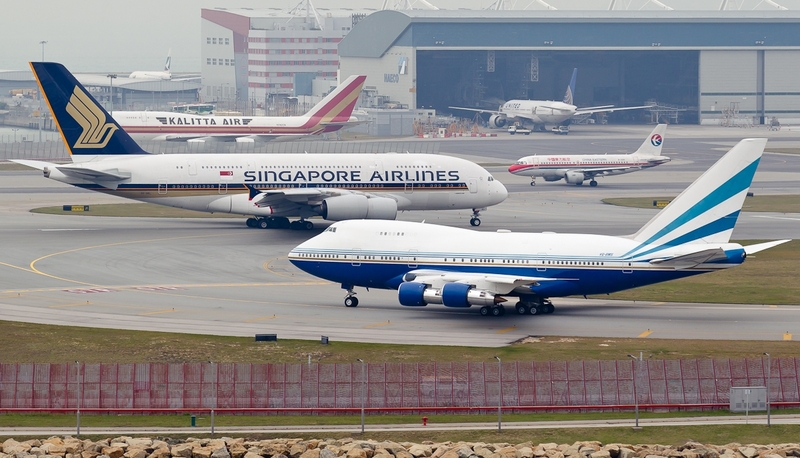 Compared with its predecessor, the 747-100, the 747SP retains its wide-body four-engine layout, along with its double-deck design, but has a shortened fuselage, larger vertical stabilizer, and simplified trailing edge flaps. The weight saved by the shortened fuselage permits longer range and increased speed relative to other 747 configurations. 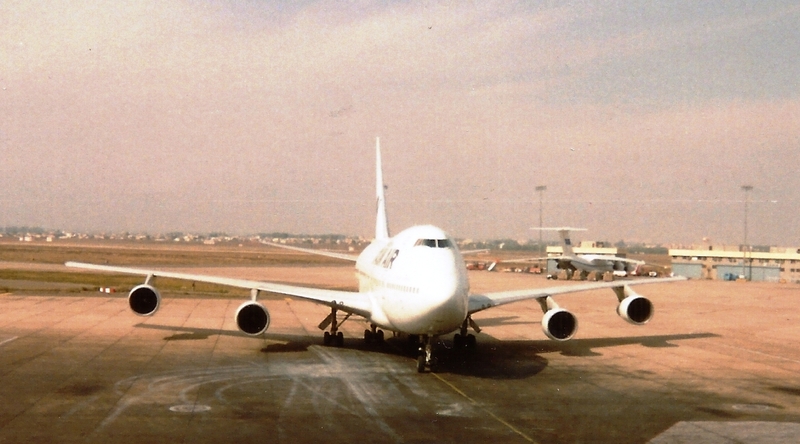 Known during development as the short-body 747SB, the 747SP was designed to meet a 1973 joint request from Pan Am and Iran Air, who were looking for a high-capacity airliner with sufficient range to cover Pan Am’s New York–Middle Eastern routes and Iran Air’s planned Tehran–New York route. The aircraft also was intended to provide Boeing with a mid-size wide-body airliner to compete with the DC-10 and L-1011. 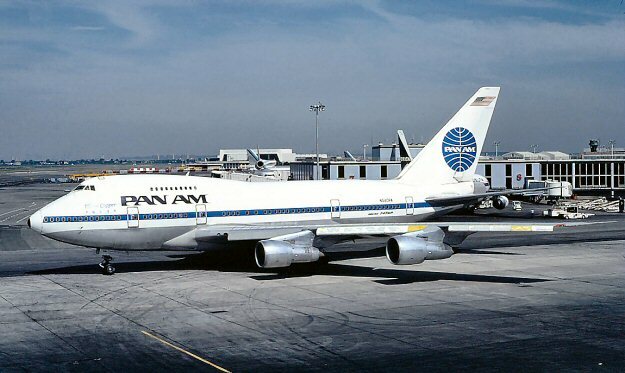 The 747SP first entered service with Pan Am in 1976. The aircraft was later acquired by VIP and government customers, but sales did not meet the expected 200 units, and production ultimately totaled 45 aircraft. While in service, the 747SP set several aeronautical performance records, including three record-setting round-the-world flights, two operated by Pan Am and the third by United. Snow Leopard, Manufacturer’s Serial Number 21649, Serial 373 was first delivered to Pan American World Airways on May 11, 1979 registered as N540PA and named Clipper White Falcon. It was renamed Clipper Flying Arrow on August 1, 1979 and later renamed Clipper Star of the Union on January 1, 1980. One year later, on January 1, 1981, the aircraft became China Clipper. After the aircraft was repossessed by United Airlines, it was bought by the Brunei Government and re-registered as V8-JBB. It was then bought by the Government of Bahrain on December 24, 1998 and registered as A9C-HMH (below, left). Today Snow Leopard is owned by the Las Vegas Sands Corporation, registered as VQ-BMS (below, right, photo by Wong Chi Lam). She is still in operation. 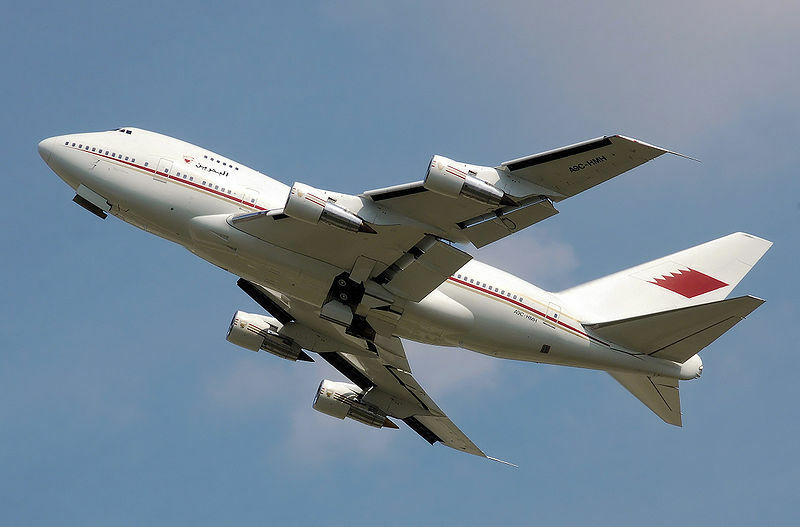 For Tajik Air, however, there was one very important requirement missing: an operating base in London and sufficient infrastructure to crew and maintain a Boeing 747SP aircraft. That presented a huge problem as the civil aviation structure of Tajkistan was completely inexperienced in intercontinental operations. 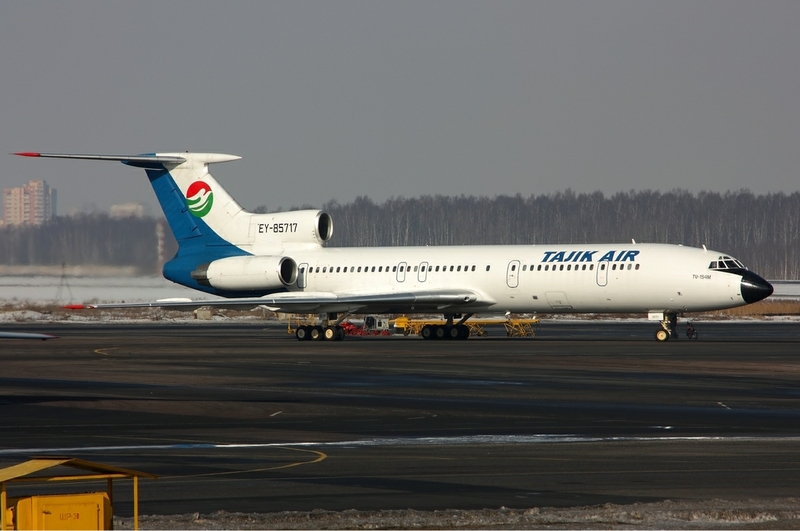 In fact, Tajik Air was created by the breaking-up of the Soviet Union and the then national carrier Aeroflot’s leaving of some old Russian-built aircraft (mostly TU-154s) for use by Tajik Air as the new national air carrier of Tajikistan. Setting up a London base would seem impossible to achieve given the limited resources of Tajikistan. 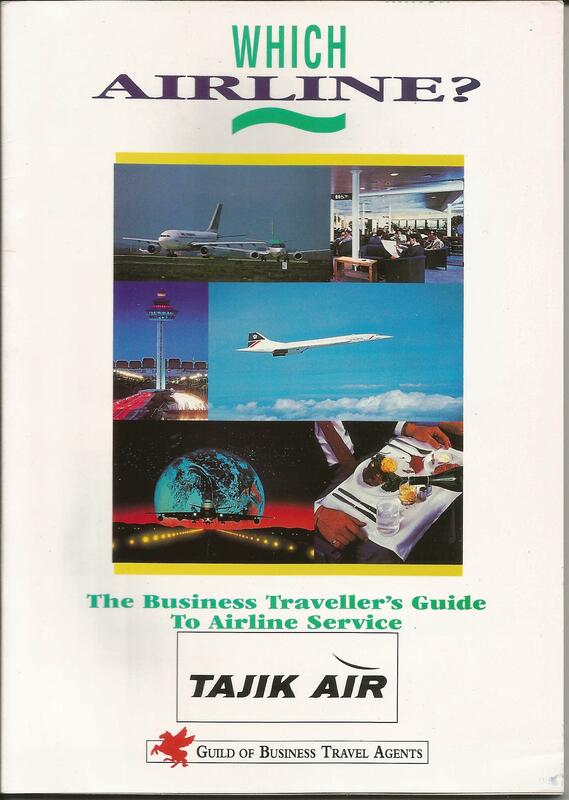 However, through the foresight and creativeness of a few airline experts in London, the requirement was met. To establish the necessary infrastructure so that Tajik Air could operate flights to/from London, a third-party UK management company, Tajik Air Limited, was formed. 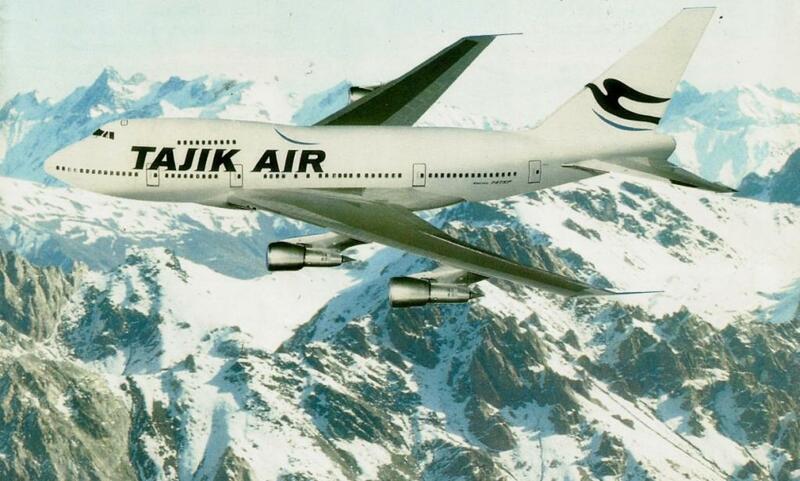 Its purpose was to operate international flights on behalf of Tajik Air. The company would obtain and maintain the aircraft and crew, organize the marketing and selling of the flights and essentially operate the flights. This would be accomplished using Tajikistan’s Air Operator’s Certificate and Tajik Air’s call-sign and airline code. Tajikistan committed to funding the new service and also obtaining the required government permissions for the operation. How would this operation be viable and profitable? 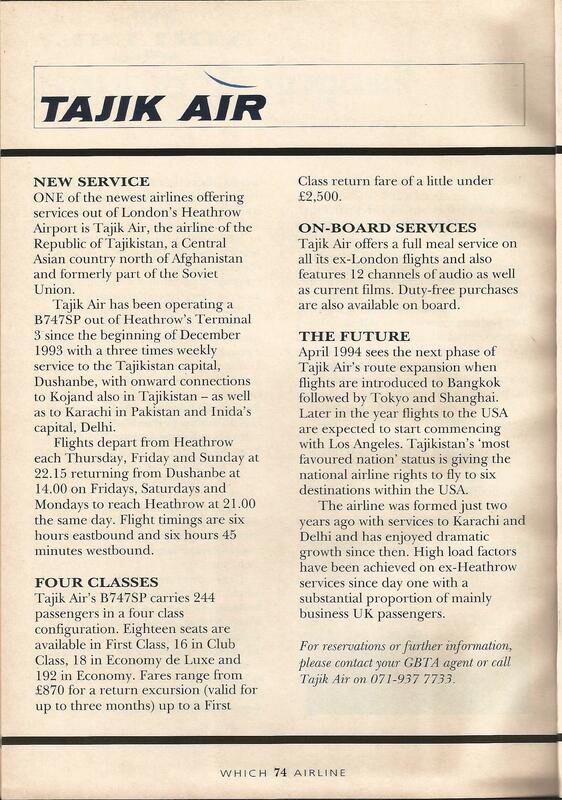 The route of primary interest to Tajik Air was the London (Heathrow) (“LHR”)-Dushanbe (“DYU”) sector. 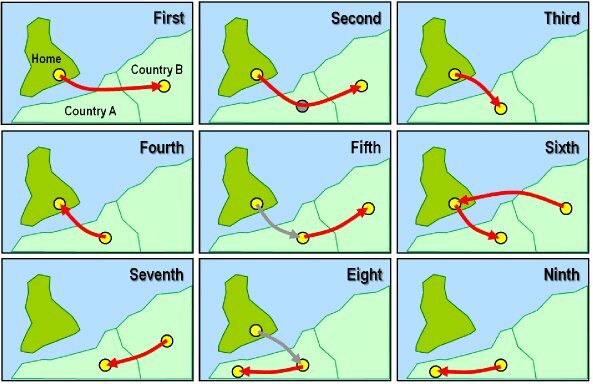 Operating that sector as an Origin-Destination route presented problems in that there was little, if any, traffic between the two points. The question was how to fill an aircraft with 260 seats? The answer: Offer service between LHR and points beyond DYU. This was to be accomplished using rights under the Sixth Freedom of the Air. 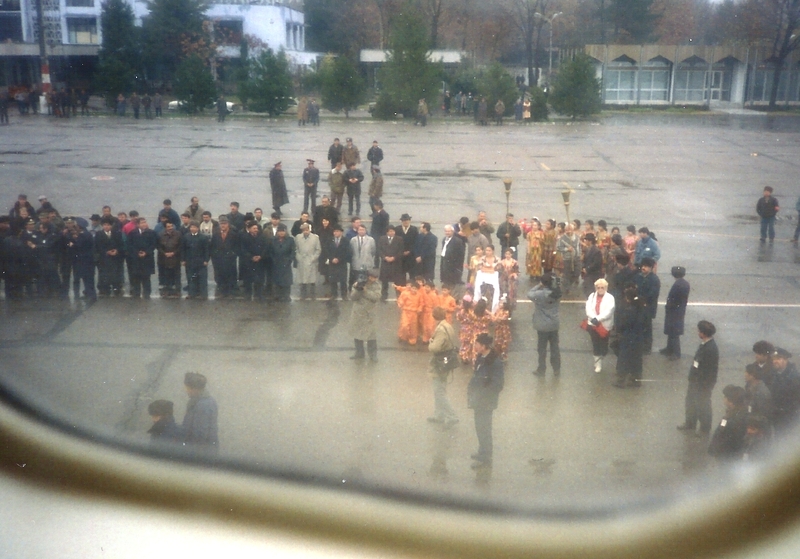 In the case of Tajik Air, the Third and Fourth Freedoms were the operative. The former gives the “Home” (Tajikistan) country the rights to carry commercial traffic (passengers/cargo/mail, etc) to another country; the latter gives the “Home” country the rights to carry commercial traffic from that other country to home. These rights are generally agreed-to between the “Home” country and the other country in the form of a Bilateral Agreement or an Air Services Agreement. By using Third and Fourth Freedom rights, a Sixth Freedom operation can be created. It is similar to a hub operation with the home country being in the middle of the operation between two different countries. For Tajik Air, the beyond points selected were Delhi, India (“DEL”) and Karachi, Pakistan (“KHI”) due to the large number of Indians and Pakistanis living in the UK. The schedule would work like this: Tajik Air departs from LHR with a planeload of passengers on a Fourth Freedom flight to DYU. Upon arrival in DYU, those few passengers destined for DYU disembark and the rest stay on board. The flight then departs DYU with a new flight number on a Third Freedom flight for DEL or KHI. Upon turning around in DEL/KHI, with a new planeload of passengers, the flight becomes a Fourth Freedom to DYU and from DYU, with another flight number, Third Freedom to LHR. By operating this schedule, Tajik Air could fill the seats of Snow Leopard, and compete in a highly competitive market by offering good service with low fares. In order to operate this schedule, Bilateral or Air Services agreements were required for scheduled traffic between Tajikistan and India/Pakistan in addition to the UK. The published timetable shown below illustrates this operation. Baggage tags are also shown. The next steps in the launch of Tajik Air’s new service to London involved recruiting and training flight crews and taking delivery of the aircraft. This will be coming in Part Two of the Story of Snow Leopard.